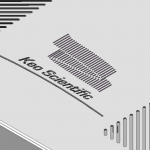 As an engineer, scientist or designer, you know that you need ventilation in your enclosures. Components generate heat, and that heat needs to get out – it cannot pass through solid metal, after all. I’ve written this blog post to review ventilation design, as well as explain the options that we offer here at Protocase to create ventilation that is both functional and aesthetically pleasing. Before I start reviewing our options for ventilation, I wanted to spend a bit of time on ventilation rates. If you have large heat-producing items, you really need to engineer ventilation rates properly. 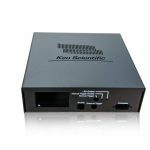 On the other hand, if you are designing a device with low-power components inside, then you can take a more intuitive approach. If you are engineering your ventilation, you first must calculate required flow rate (in volume per unit time such as Cubic Feet per Minute or CFM) by energy balance. That is to say, the heat created per unit time (Power x Time) must equal the temperature rise in the mass of air moved per unit time (Volume x Density x Specific Heat x Target Temperature Rise). You can use this to determine required flow rate. 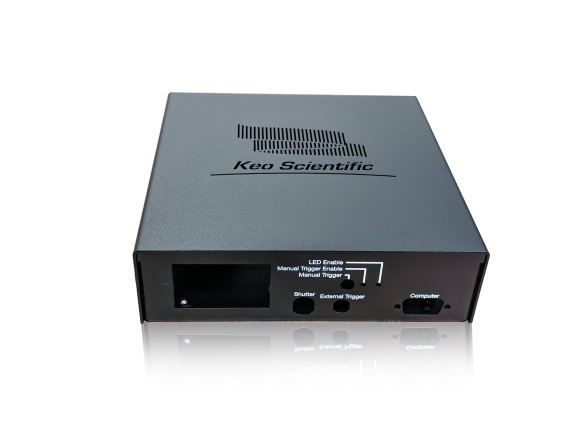 Then, with target flow rate in hand, you must figure out how to get that flow through your enclosure. This is straightforward if using Forced Ventilation (i.e. fans). Just make sure to use a fan, or multiple fans, that exceeds your requirement by a reasonable safety factor. You must then make sure that the air can flow in and out of the enclosure without constriction. Forced ventilation is typically used for higher power dissipations. At low powers, natural convection is used. 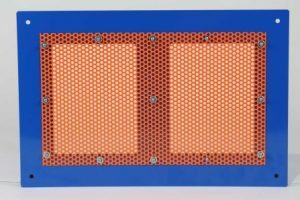 Although natural convection can be engineered, usually enclosures for lower-power devices are ventilated by using a reasonable amount of openings. Once you’ve considered ventilation type and rate, you need to figure out the cutouts required for your enclosure that will be appropriate for the amount of ventilation you need. With laser cutting, there is no tooling involved. That means there are very few limitations to the cutouts we can do. For the most part, if you can draw it, we can cut it! Decorative Ventilation Cutouts: Keep in mind that your ventilation cutouts can be completely practical, or on the other hand, you can use them to achieve visual and aesthetic goals as well. 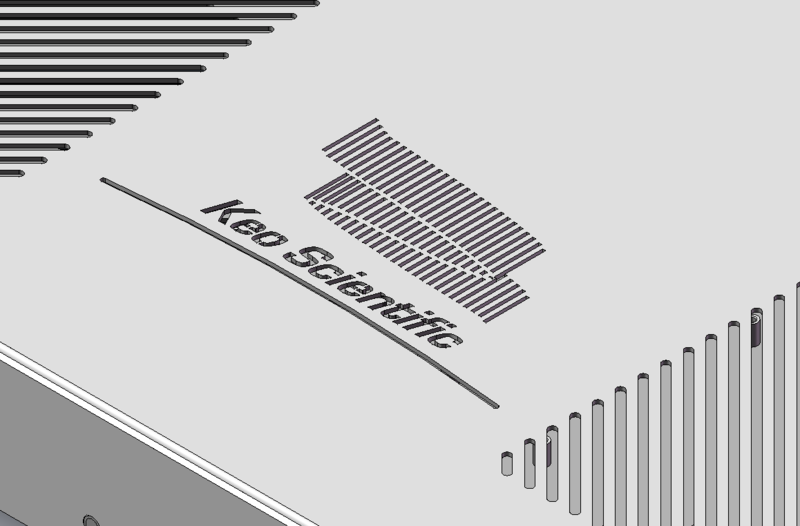 As an example, longtime Protocase customer Keo Scientific designs and builds instrumentation for imaging of space weather, including aurora borealis and australis. Besides employing slot cutouts in artful diagonal patterns, the company also uses custom cutouts of its logo and an aurora shape. An eye-catching design that also provides excellent ventilation! Cutouts work great for ventilation and allow you complete creative control, which can add certain finesse to your enclosure. However, there are some limitations to the number of cutouts you can have in one space, in order to preserve the shape of your sheet metal. Limitation on Excessive Cutout Density: When using a thin metal in your design, employing hundreds of tiny holes (such as in the example below) may cause the sheet metal to warp due to the density of the holes present. We don’t have any hard and fast rules, but Protocase’s Engineering and Design Services can advise you if your design will be subject to warping, should you choose such a cutout pattern. CAD rendering of sheet metal panel with dense circular cutout pattern. 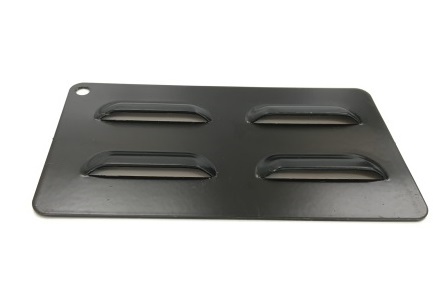 Instead of having the laser cut multiple little holes, you could opt for larger slots within the same space in order to serve the exact same purpose. As you can see in the example below, this provides just as much open area with fewer cuts. The risk of warpage is far less likely, and you will still achieve the same amount of ventilation. 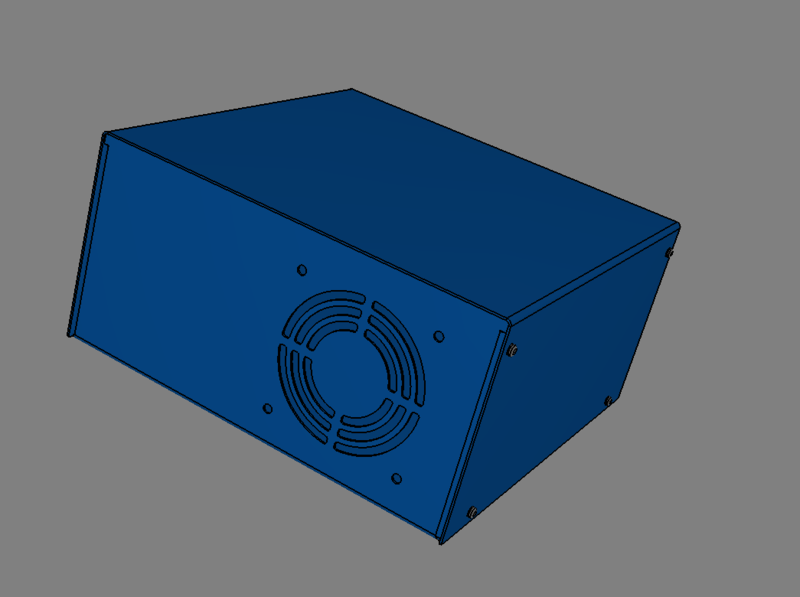 CAD rendering of sheet metal panel with larger slot cutout pattern. 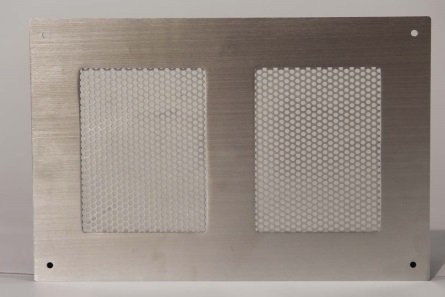 When you need to use a very large number of holes for ventilation and filtration, consider using perforated metal. 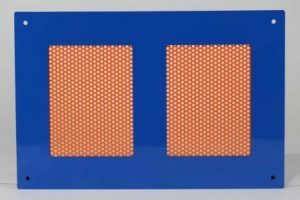 This is because perforated metal is a much more cost-effective option compared to laser-cutting hundreds of holes individually. This also circumvents any problem with cutout density. Front View of Perforated Aluminum Sheet Metal with Grained Finish. Perforated metal is lightweight, versatile, durable, and can be aesthetically pleasing.. But don’t forget, the surface of the perforated metal will be situated at the underside of the sheet metal to which it is attached. Because it won’t be flush with the top of the sheet metal, you need to consider its look and any functional issues that this step-down in material may impose. Protocase stocks 20 gauge (0.032” | 0.81mm) perforated aluminum and 22 gauge (0.030” | 0.76mm) perforated cold rolled steel. Each of these types of perforated sheets feature a 0.125” (3.18mm) circle diameter pattern. (For additional lead time and cost, we can order other types of perforated sheet metal for your project). Both types are easily powdercoated, and can even be painted a unique color from your base enclosure, for a striking look, as seen below. Front-facing view of Perforated Aluminum Sheet Metal with High Gloss Safety Orange Powdercoat. Backside view of Perforated Aluminum Sheet Metal with High Gloss Safety Orange Powdercoat, Fastened via Self-Clinching Fasteners. Perforated sheet metal can be attached to sheet metal enclosures or panels either by welding or using fasteners. Louvers are a great way to provide ventilation openings in your enclosure, and they also offer a degree of protection against accidental entry of dirt or foreign objects because of the opening’s overhang. Louvers are formed on our press brake using special tooling. 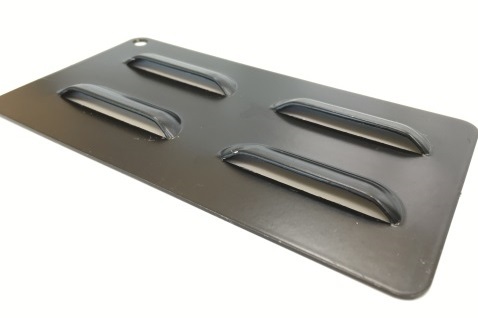 To avoid extra lead times and tooling charges, we maintain tooling for making the nominal 2″ louvers (as shown below). If you require a different size louver, contact us! We have the ability to order other tooling (additional lead time) and will be happy to work with you to get you exactly what you want. Nominal 2″ louvers front view. Nominal 2″ louvers side view. One of the great features of Protocase Designer, our free enclosure design software, is that it features an extensive library of cutouts. One type of cutout in particular that’s useful for ventilation purposes are our fan cutouts. U-shape enclosure (no cover) with 92mm fan cutout with grill made in Protocase Designer. U-shape enclosure with 92mm fan cutout with grill made in Protocase Designer. Once you’ve decided the fan you’d like to use your enclosure to achieve proper ventilation, there’s no need to painstakingly create the corresponding cutout for it. Protocase Designer has already done the work for you, saving you considerable time. All you have to do is choose your pattern and drag it to your desired location. 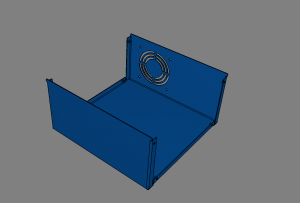 Another option for ventilation within Protocase Designer is to create your own custom vent cutouts. They are then saved as part of your library and can be re-used with the same simplicity as stock cutout patterns. Here is a tutorial that shows you the different ways you can create custom vent patterns in Protocase Designer. 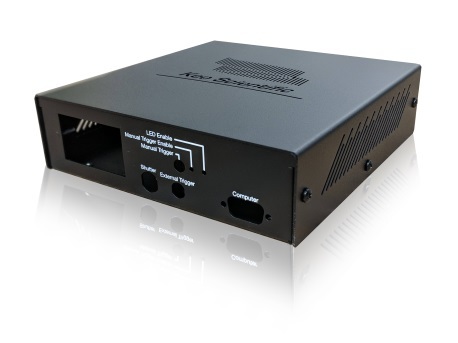 Ventilation is a crucial factor to consider when designing your enclosure to fit your electronics and components. 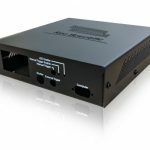 After all of the time you’ve spent figuring out the electronics and components for your project, the last thing you want to happen is the inside of your enclosure overheating, causing your hard work to malfunction. I hope this blog post has helped you to understand the many ventilation options we offer here at Protocase. If you have any questions or want to discuss your design, please contact us by emailing info@protocase.com.